Yuneec is a designer and manufacturer of drones that has recently branched out into more electrical devices. 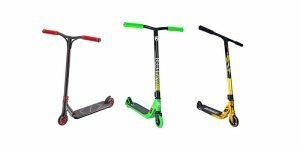 The Yuneec E-Go 2 is one of these. It’s a fairly cheap electric skateboard that has all the quality and low price that customers have come to expect from a Yuneec product. In this Yuneec E-Go 2 review we’ll look at everything that this electric skateboard offers and let you know if it’s worth a purchase. The Yuneec E-Go 2 is a solid mid range electric skateboard that is more suited to simple riding around the town rather than intense performance. It’s a good looking board with a nice set of features, simple controls and a great battery life. It’s let down slightly by its top speed and can have some reliability issues, but these are rare. 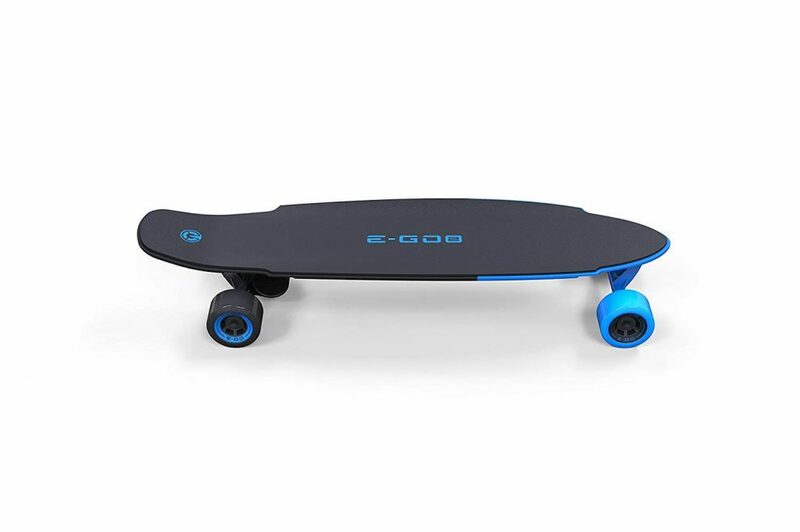 The recommended price makes this good value but if you can find it for less then you could be onto one of the best value electric skateboards on the market. So the first thing to note is that this board has a recommended price of $699.99. That means its a mid ranged board. This isn’t a performance board and it isn’t trying to be. 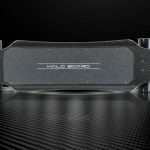 Don’t expect it to be like the Boosted Board, the Inboard M1 or the Halo Board. 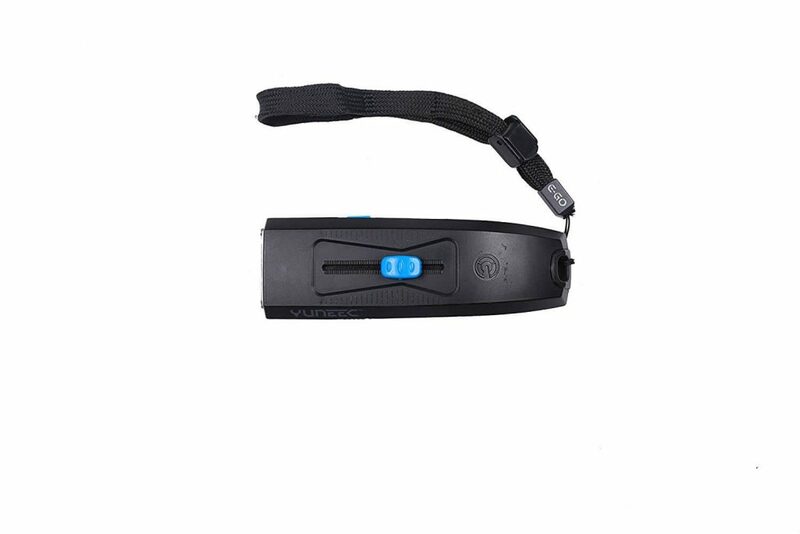 This is a simpler device that’s aimed at fun, relaxation and enjoyment. Not performance. With that said, let’s take a look at the features. On the face of things, the Yuneec is fairly basic. It has an 8 ply deck that gives it a good flex and feels durable. The deck is a kicktail deck, which means that it has slight lip at the back to allow you to do basic tricks. The Yuneec EGo 2 is powered by a 400 W belt driven motor. 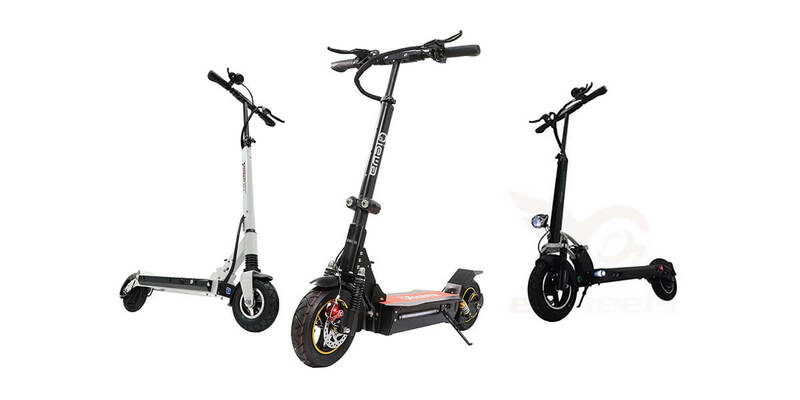 We would prefer a hub driven motor as it give you more versatility and allows for easier manual riding. This is a fairly mid range motor and will give the Yuneec a top speed of about 15 mph. This is, of course, very dependant on the rider, condition and terrain. 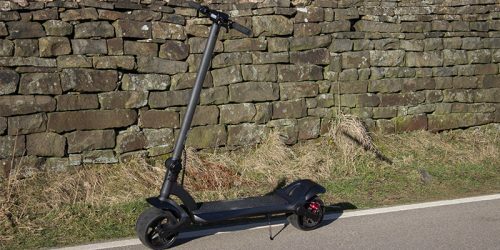 Seeing as it has a relatively small motor compared to more expensive boards this is likely to be more vulnerable to the effects of greater weight or poor conditions. The board comes in a range of colors which all look fantastic. We really like the design and the aesthetics of what Yuneec have achieved with the E-Go 2. The design of the board is fantastic. 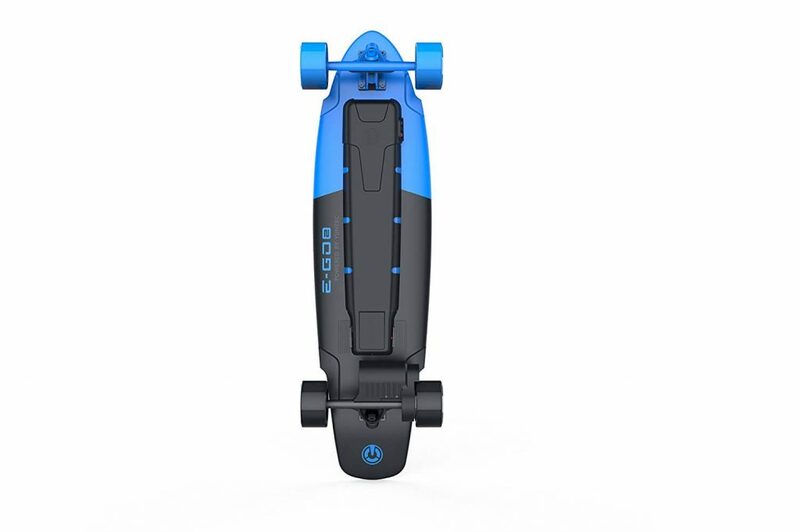 We think this is one of the best looking electric longboards on the market. 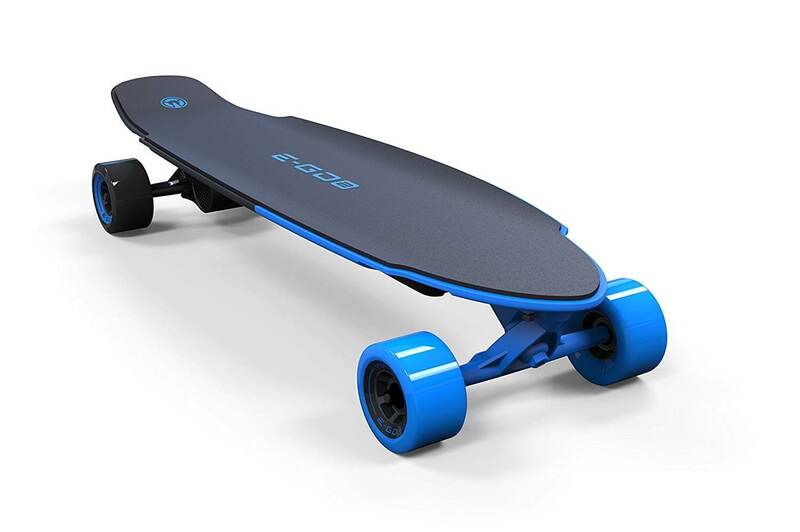 It has a stylish, modern look that doesn’t feel like a traditional longboard at all. 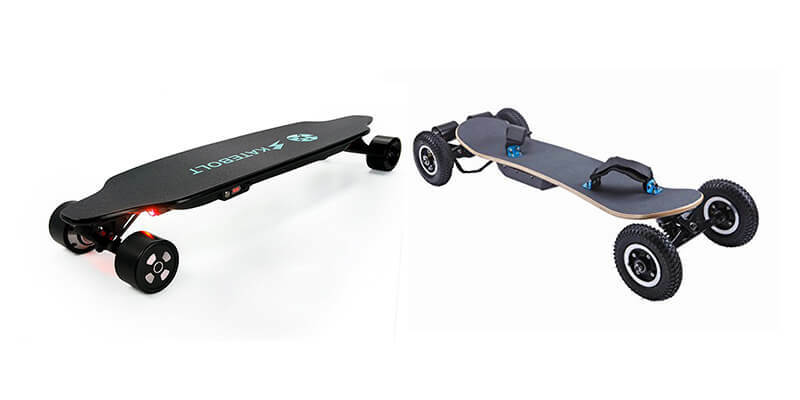 As much as we love the look of some manual longboards we think the modern, tech inspired look really fits an electric longboard and Yuneec have done a great job at designing the board. The design of the controller is also quite good. It’s simple and follows the tried and tested rules that have already proven themselves. Despite no real enginuity it does the job just fine and works great. No need to reinvent the wheel. The build quality, however, we aren’t so wowed with. Apart from the deck, which feels sturdy with just the right amount of flex, the rest of the board feels a bit cheap. The electronics perform well but we are suspicious as to how they’ll last over the long term. This is confirmed with some of the reviews on Amazon that have complained about the reliability of the board not being up to scratch. For a board such as this, that is aiming to be a solid mid range board, a top speed of 15 mph is good. It’s not quite at the 20+ mph range that many of the performance boards have but that’s to be expected. It can handle hills of 10 degrees which is exactly what you’d expect for a mid range board. 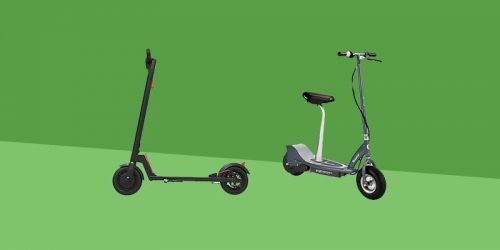 However, the smaller motor does suffer a little more when the rider weight or terrain are not optimal in comparison to some better boards. This can make it feel a little sluggish. Rider weight, condition and terrain will also play a major part in the maximum range that the board can reach. The Yuneec E-Go 2 can get up to a maximum range of 18 miles on a single charge. 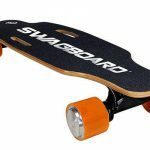 This is very impressive and is more than a lot of the electric longboards that cost a lot more. It can also be charged in 3 – 5 hours, which is good. It’s not great, but for a battery of 18 miles this is more than acceptable. A nice feature that the Yuneec has that some of the more expensives boards don’t have is regenerative braking. This is where the battery is charged every time you brake. A small addition that can really add up and helps with the maximum range of the board. The looks – The Yuneec is genuinely one of the best look electric skateboards we’ve seen. It’s stylish and modern and really fits with the techy electrical theme that Yuneec is promoting. The range of colors is also really nice and helps gives your board a little more personality. The maximum range – 18 miles is a lot! This is noticeably more than many other boards out there. 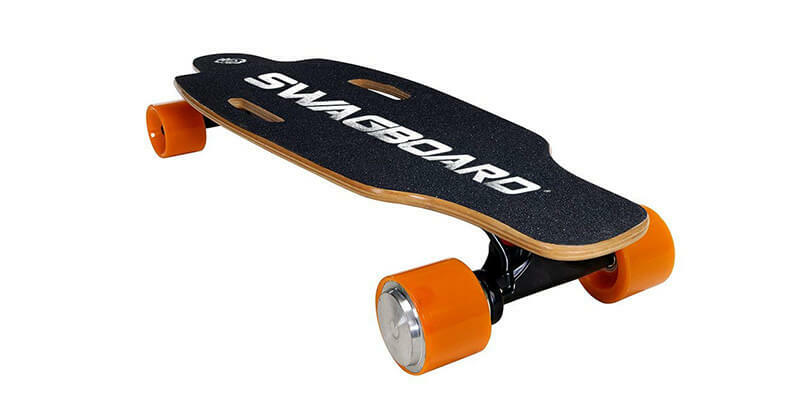 For example, the Swagboard claims to have a range of only 10 miles, but very rarely even manages that. 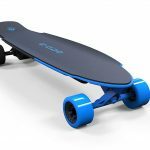 The price – The recommended retail price of the Yuneec Ego 2 is right in the middle of the range of electric skateboard on the market. We think this is a very fair price for what you’re getting but think it’s an absolute bargain when you see some of the prices on websites like Amazon. Reliability – It just isn’t reliable enough. There are a few electrical problems here and there and the electrical components that have been used feel like a compromise due to the low cost of the board. 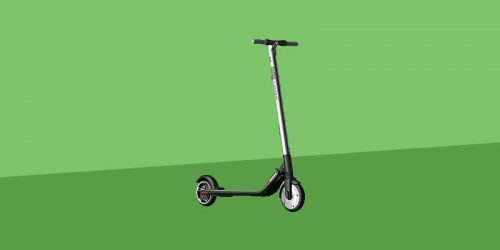 Top Speed – This isn’t a huge problem and is to be expected due to the price, but ever since we’ve tried the likes of the Boosted and Halo Boards, a top speed of 15 mph (when it actually gets there) does feel slow. Overall, the Yuneec E-Go 2 is a very capable electric skateboard that definitely has found its place in the market. It’s aimed at a more casual user that will benefit from it’s simpler design. The addition of an app is nice and the controls are simple enough for anyone to handle. Our only problem with it is how it doesn’t quite live up to our high reliability standards. If you can live with this then you’ll be getting a great board at a great price. 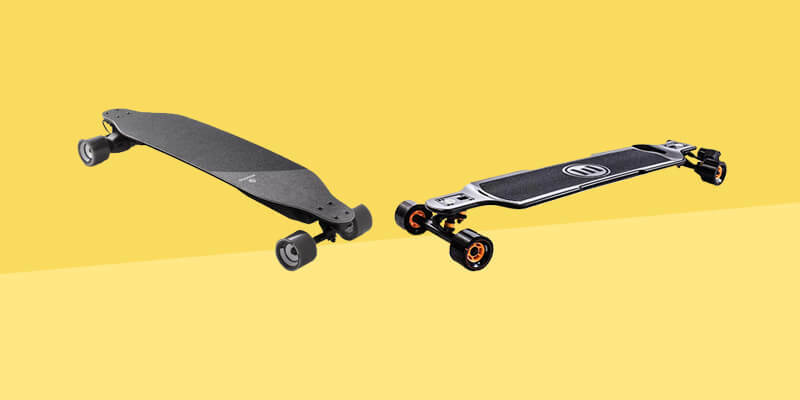 The Yuneec made it onto our list of the best electric skateboards under $1000. Check out our list for more great value e-skateboards if this isn’t quite your thing.